On June 22-24, Kuzibah and Grim attended Monster Bash, presented by our friends at CreepyClassics.com in Pittsburgh, PA. Unfortunately, our trusty Brownie gave out before we could even take the first picture. Luckily, some of our friends were generous enough to take pictures for us. Count Gregula and his lovely bride, The Countess Gregula pose with us in the hallway. Visit the Gregulas' website here. Kuzibah and Count Gregula strike a pose. As you may notice, it's very possible that we may share a tailor. Grim and Kuzibah meet the Bash Guest of Honor: Elvira, the Mistress of the Dark. 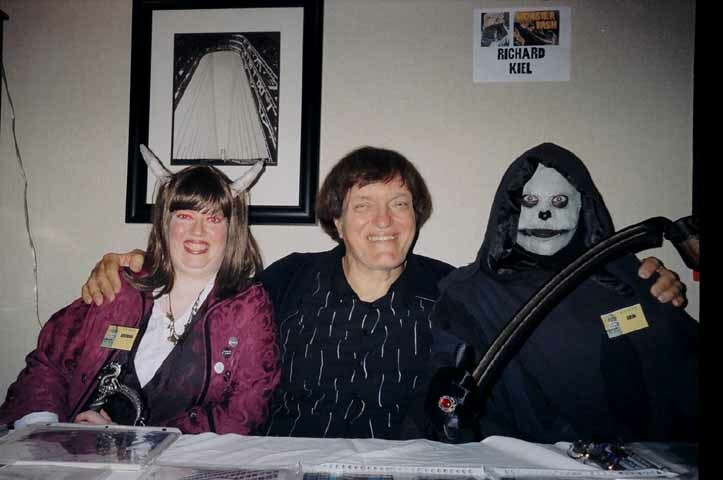 Kuzibah and Grim meet the enormous actor Richard Kiel.